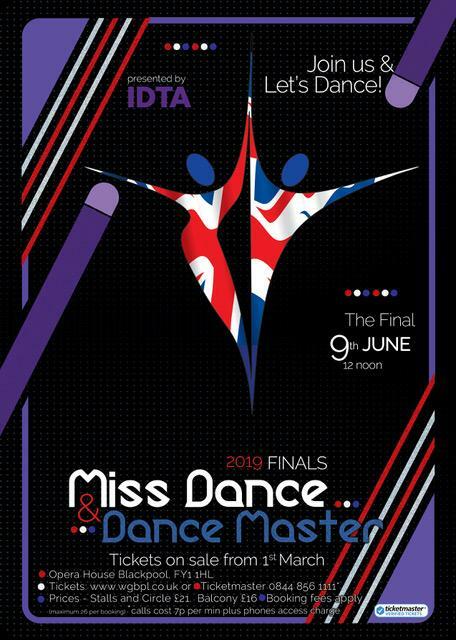 Tickets for the Miss Dance and Dance Master of Great Britain 2019 Finals go on sale from 1st March 2019. The Finals will take place the the Opera House, Blackpool, FY1 1HL on 9th June 2019. You can purchase tickets from www.wgbpl.co.uk or by calling Ticketmaster on 0844 856 1111. Prices for Stalls or Circle seats are £21. Prices for Balcony seats are £16. Booking fees may apply.